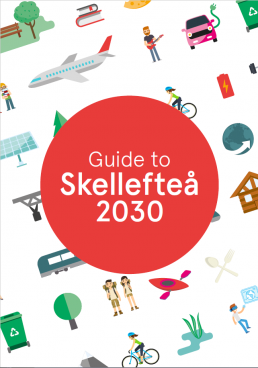 Sustainia created a vision guide for town of Skellefteå, Sweden, showing what life could look like in 2030, following a range of sustainability initiatives. The Swedish town of Skellefteå is growing, but is committed to making their city livable for residents through SDG-led initiatives. It can difficult to inspire pride in long-term planning when citizens can not see tangible results. Skellefteå came to Sustainia to build a narrative about the future of their sustainable community, in order to attract new residents, businesses, and investors to their community. Sustainia created a vision guide to demonstrate what sustainable life and business in the future could look like, based on the municipality’s 2030 development plans. The guide provides inspiration and a course forward to drive efforts, and highlights opportunities for creating a healthier and more prosperous community. The vision guide is available for download here. We are convinced that Skellefteå has something to offer the rest of the world, and through our efforts we are also helping to achieve the Sustainable Development Goals, as this book by Sustainia demonstrates. 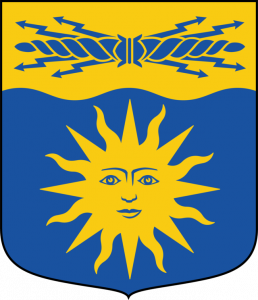 Skellefteå is the capital of Skellefteå municipality in Västerbotten County, Västerbotten, Sweden. The community aims to be home to 80,000 people by 2030.